With the dawning of another year, the expectations, regardless of whether it is from your business that you run from a brick and mortar office or virtual world always change and evolve for the better. This betterment is directed not just towards the company but also for the clients or prospective leads. 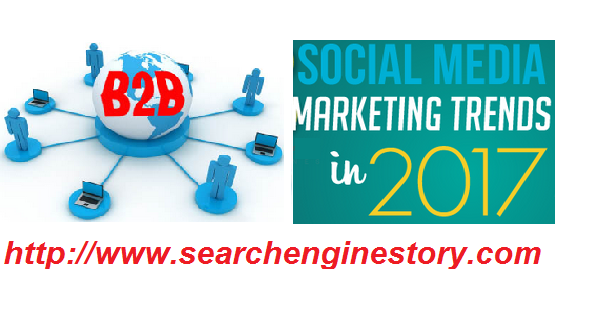 Since “change is constant”, in this article, let us find out what social media trends you can expect to witness in the current year 2017 as far as social media efforts and initiatives for B2B companies are concerned. As per expert opinion it is being ascertained that in 2017 majority of the B2B companies will adopt the policy to tempt visitors/prospective leads with content that is interactive and most importantly exemplified by visual presentation. Few of the highly engaging content types that will keep visitors engaged include the likes of FAQ section (Q &A), product demonstrations, live streaming, and video blogging. Also, aside from the above avenues, social media platforms will be used extensively for marketing purposes. It is being assumed that more and more B2B companies will put in all efforts and strive hard to increase their rate of conversion. Assessment of social Return on Investment and an increased effort to improve upon lead conversion will be the emphasis of the year. By applying appropriate analytics and enhance social media marketing budget, these companies will lay stress on how to enhance revenues from conversions on the social media platforms. More and more customers will shop on their mobiles. As such, your marketing strategies ought to be directed towards the same. Studies have proved that as of 2016, 49% of the clients followed businesses on their hand held gadgets. As such, the marketing plans ought to be such that your products and services are available on mobiles aside from the desktop website.